I wrote a bit on this topic over at Not Dabbling in Normal today. Have a read over there if you get a chance. 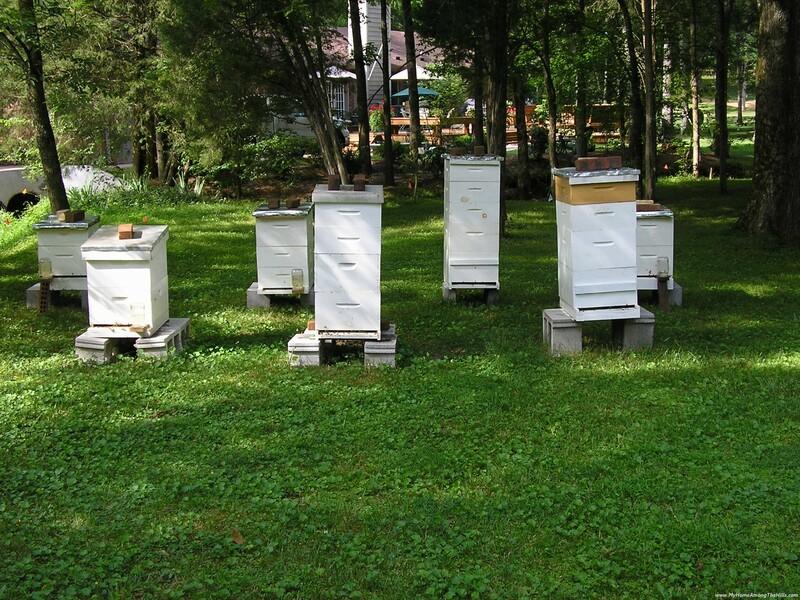 So, in general, bees are well into preparing for winter by October. 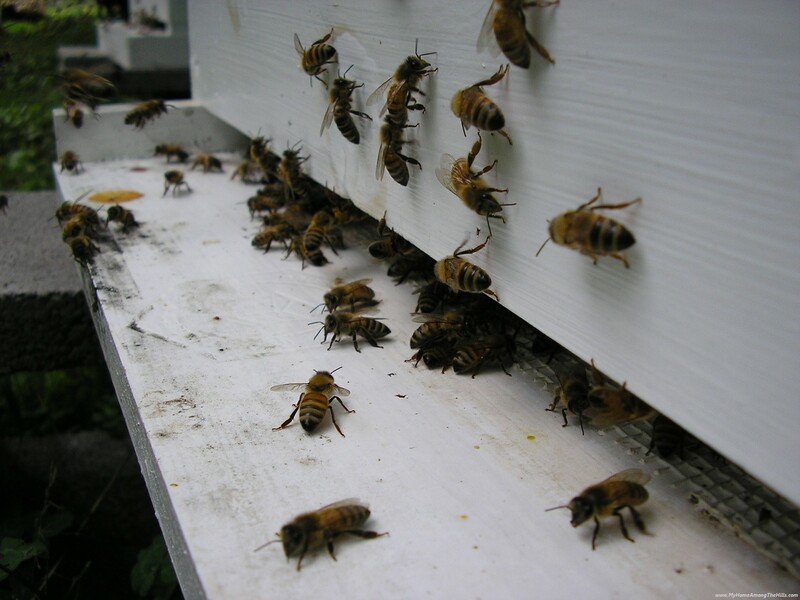 They gather as much pollen and nectar as they can and they have begun to clean the hive and seal the cracks. Bees make this amazing stuff called propolis which is much like super glue and caulking…only stickier. It is made from a concoction of tree saps, wax and bee magic. In large areas, bees often fill in gaps and cracks (they are particular about bee space…the only like open spaces of approximately 3/8 of an inch) with burr comb. Burr comb is basically just large chunks of “free form” honeycomb. Smaller cracks however, are usually filled in with propolis. 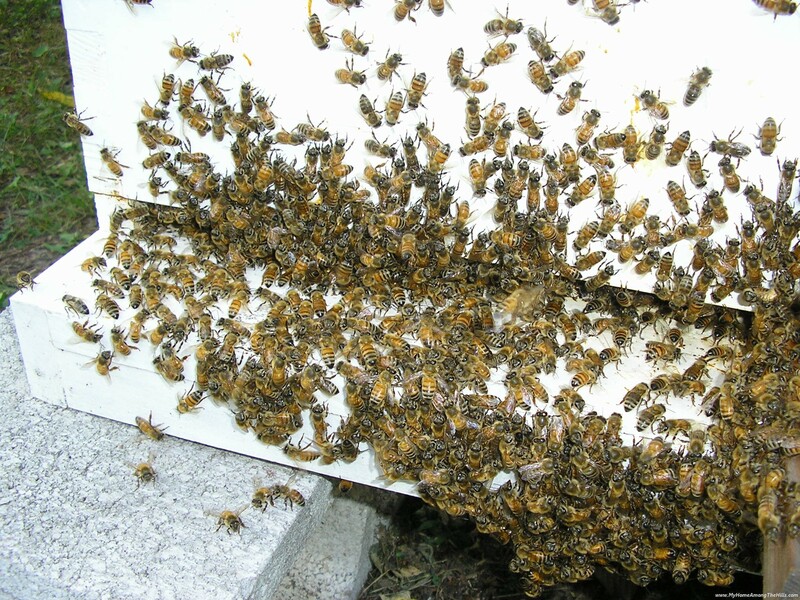 Bees don’t typically freeeze to death in the winter but drafts and moisture can definitely kill. They take this preparation very seriously. I guess it is sort of bad, but we always sort of enjoy another part of housekeeping that bees do. Male bees serve only as breeders for virgin queens in the early spring and summer. During the fall and winter months, they do no work in the hive, but rather consume precious food. Female worker bees are practical and toss the males from the hive. Male bees are larger than females but, (and no comments here) the females are far tougher. Females are hardened by work (in a non-Clint Eastwood or Sly Stallone sort of way) and have nasty stingers. Male bees do not have stingers. They are lovers, not fighters, remember? So, as the females drag the males to the edge of the hive entrance, we like to pick up the doomed males for careful inspection. Though they are bound to die, we like to observe and handle them as we ponder on the marvels of nature. Thanks for the wonderful insight to a bees life. .-= Gary Dillon´s last blog ..Grandson Owen =-. .-= Beau´s last blog ..Lots of Acorns and Big Ugly Goobers =-.